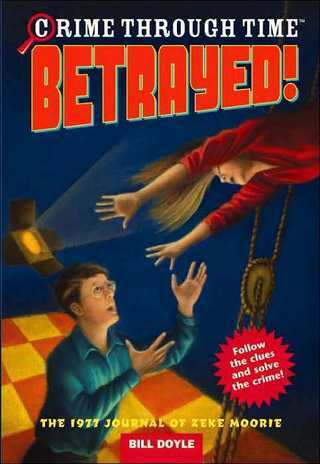 Bill Doyle - "ESCAPE THIS BOOK! TITANIC" is now availavle EVERYWHERE! Come celebrate the release of "Escape This Book! 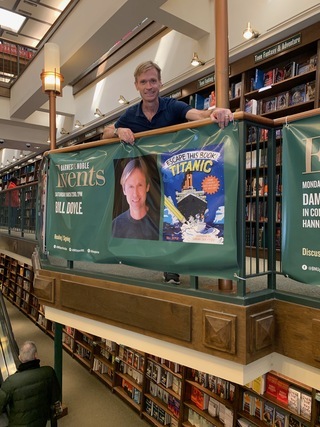 Titanic" with a special event at every B&N called "Escape This Bookstore!" Free goodies and you'll go on a fun escape adventure or two! Looking for my work for companies like Google, Toyota, Hasbro, Nintendo, and Warner Bros.? Click above! 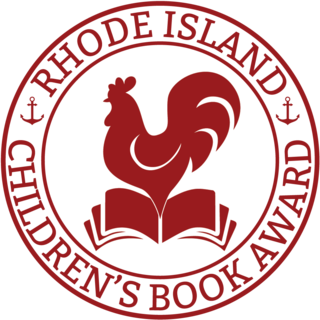 My "Prizewinners of Piedmont Place" has been nominated for the Rhode Island Children's Book Award! The world-famous dancer and friend Marcelo Gomes with me and his copy of "Invasion of the Junkyard Hog"
It's here! Book #3 in the Henry & Keats series. 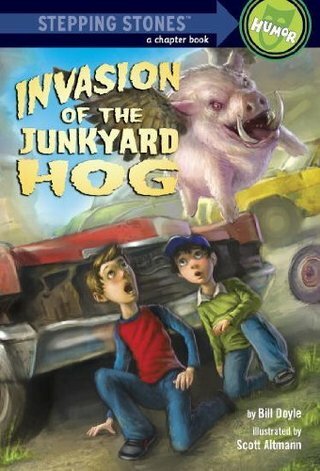 First there was "Shark-Headed Zombie" then "Supermarket Slugs" and now "Invasion of the Junkyard Hog"! Art by the amazing Scott Altmann. "Shark-Headed Zombie" moves fast! Thanks, Roxanne and Preston, for the pic from your Scholastic Book Fair...and for letting me know you got the "last copy" and that it sold out at your fair! Goodreads reviews for "Behind Enemy Lines"
That's Jared Lee on the left! (Me on the right.) Jared is a longtime illustrator, and a hero of mine. I'm so lucky that he's illustrating my Scream Team series...and that I got to meet him in NYC! 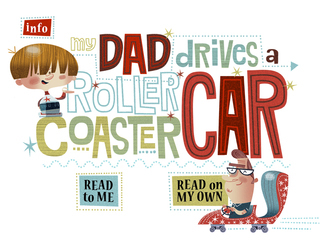 "My Dad Drives a Roller Coaster Car"—my storybook app for the iPad has just topped USA Today's list of apps to keep kids happy and laughing while traveling. Click here to see the trailer! The 1st book in my new Scream Team series...now in bookstores everywhere! 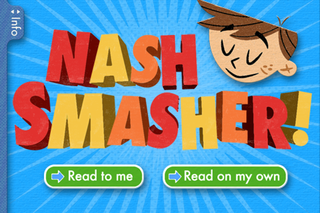 My first app "Nash Smasher!" 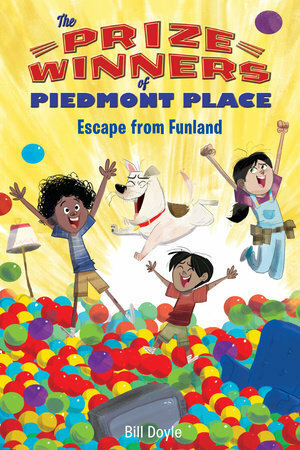 has been named one of the 10 BEST CHILDREN'S BOOKS FOR THE iPAD by THE NEW YORK TIMES! 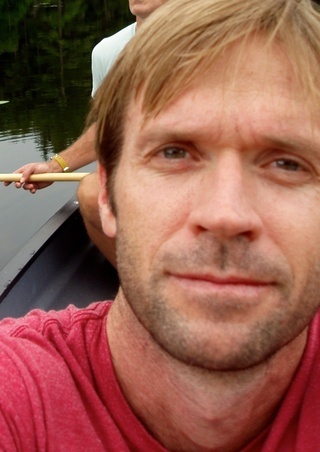 Click here to see the app in action! The second book in my Behind Enemy Lines series is now out with Scholastic. 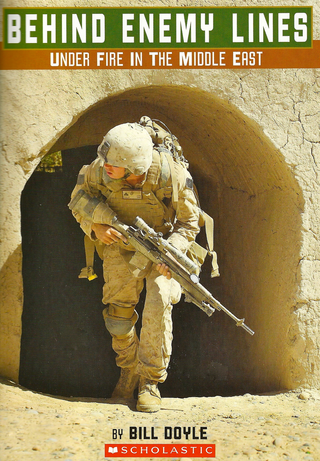 True stories of incredibly brave men and women. I led this extremely fun week-long lab at the Met here in NYC! 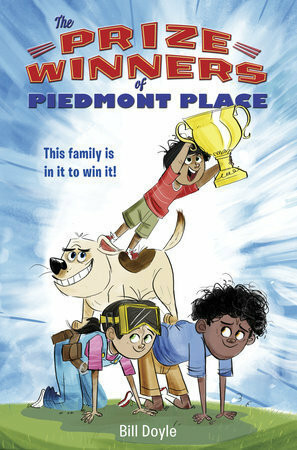 Reviews for "The Prizewinners of Piedmont Place" are pouring in! "The humor is spot on for the target age, with just the right level of silliness in the plot. There's plenty of suspense and, for all the magic and mayhem, Henry and Keats are characters kids can relate to, even if they don't have enchanted livestock in their lives. All these elements add up to a great story, and there's some really savvy reading curriculum built into this. 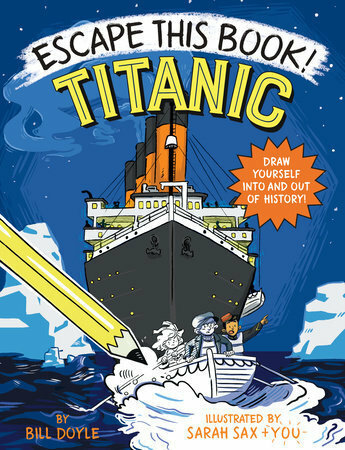 From a character who talks backwards to the use of puns to the wonderful descriptions of actions, this is a fun way to build reading skill and comprehension, especially for reluctant readers." The first book in the Henry & Keats series. 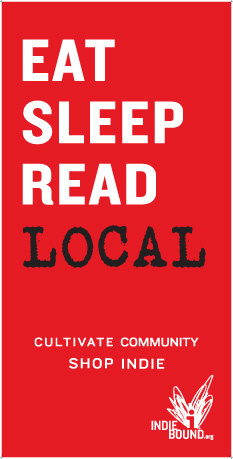 Click on the cover above to go to Amazon! A fin-tastic review of "Attack of the Shark-Headed Zombie"! 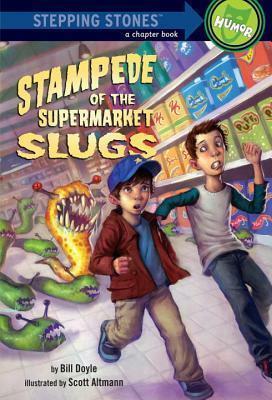 A slug-licious review of "Stampede of the Supermarket Slugs"! 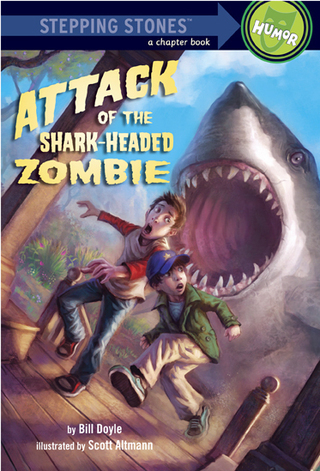 Now available: the sequel to "Attack of the Shark-Headed Zombie" illustrated by Scott Altmann! Mr. Cigam has a new job for Keats and Henry. All they have to do is capture one little slug in the Purple Rabbit Supermarket. Sounds easy, right? Wrong! First, the slug isn't so little. Second, there's way more than just one. And to top it off, the supermarket has gone all kooky—Mr. Cigam's mixed-up magic has swirled down every aisle! There are pests in the produce and an angry snowman in frozen foods. Can Keats and Henry clean up this supermarket mess? SCREAM TEAM #2: Reviewed by Katie, a first grade teacher in Minnesota. 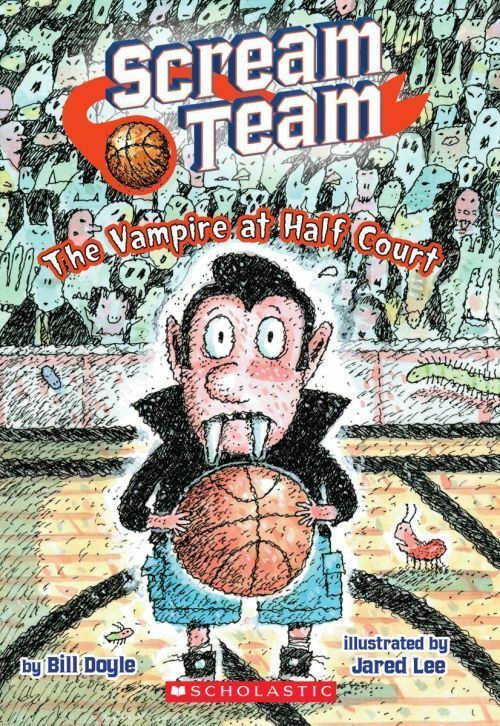 "Vampire at Half Court follows the Scream Team (a basketball team made up of werewolves and monsters) as they face two big challenges. They need to find a team sponsor, all while gearing up to try and beat the undefeated vampire team in the JC Monster League Championship. The plot thickens as the Scream Team starts to suspect one of their own is secretly meeting with the vampire team! Read to find out how the Scream Team wins over the crowd despite losing the big game. 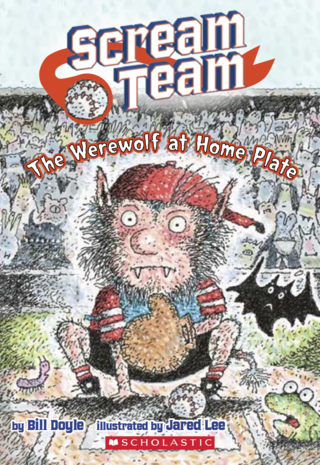 This book is great for second or third grade sports fans, especially boys, or reluctant readers in the older grades." Way back when I was a graduate student at NYU Film School, I got hired to write the cutaway script for a 1996 video game (on CD ROM!) called "Terra Nova: Strike Force Centauri." When you finished a mission, you were "rewarded" with a scene with real actors. Okay, so there might be a reason the Oscars skipped over this particular piece of my writing past (wow, there is some serious over-writing happening here)…but I had such a blast being on the set and working with game developer Looking Glass up in Boston. WARNING: There is mild violence and mild cursing in three or four spots in these videos. REVIEW OF "ATTACK OF THE SHARK-HEADED ZOMBIE"
"This entry in the Stepping Stones series presents a fresh and appealing option for those readers who are new to chapter books. Adventure-prone cousins Henry and Keats find themselves in a pickle when they lose their bikes during a stunt at Steep Cliff Hill. With enchanted scepters, wizard spells, disappearing chickens, and magical tornadoes, this book reads exactly like the wandering imagination of a creative youngster, offering up an absurd premise that will be a hit with boys in particular and reluctant readers in general. Accompanied by black-and-white illustrations showing the boys and the zombie in action, Doyle’s reader-friendly and engaging story packs in a remarkable amount of action and fun." 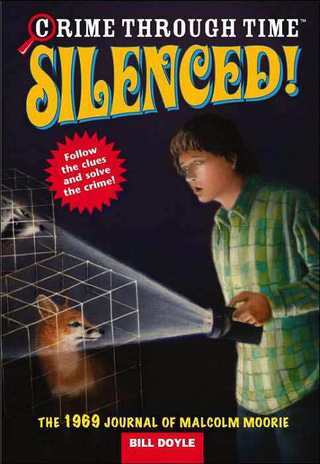 Do you get the Scholastic Book Club flyer through school? 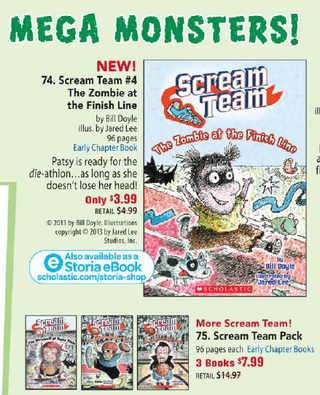 My latest Scream Team book is there and everywhere books are sold! My storybook "Don't Open Before Christmas" is named a Best Holiday App by USA Today. My new interactive storybook is now available on the iPad! "'Attack of the Shark-Headed Zombie' is a fast-paced, suspenseful story with lots of surprising twists and turns!" Click above for the trailer to my new interactive "pick your own adventure" book—written with help of a climber who was summiting Everest at the time! Can you pick the right path and make it to the top of Mt Everest? 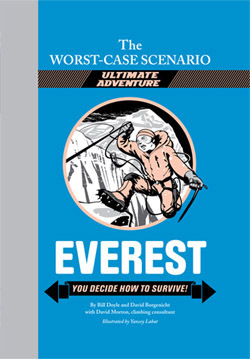 This Worst Case Scenario "choose your own adventure"-type book is out now! 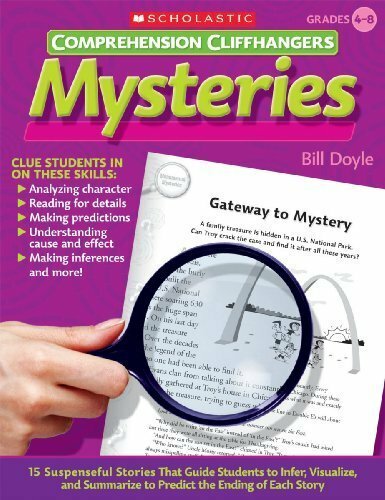 Teachers: I have a new book of mystery reproducibles for the classroom out now with Scholastic...fun cliffhangers! 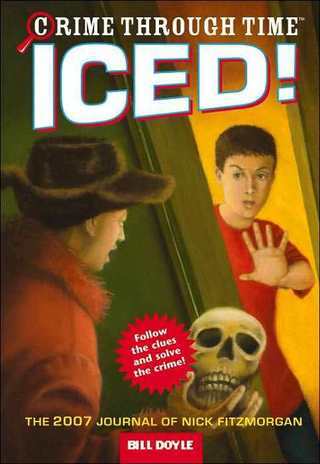 "Sure to be fun for young mystery readers, this action-packed illustrated story periodically includes information about real-life investigative techniques"